Festival Walk at Kowloon Tong has a French themed display for 2017! 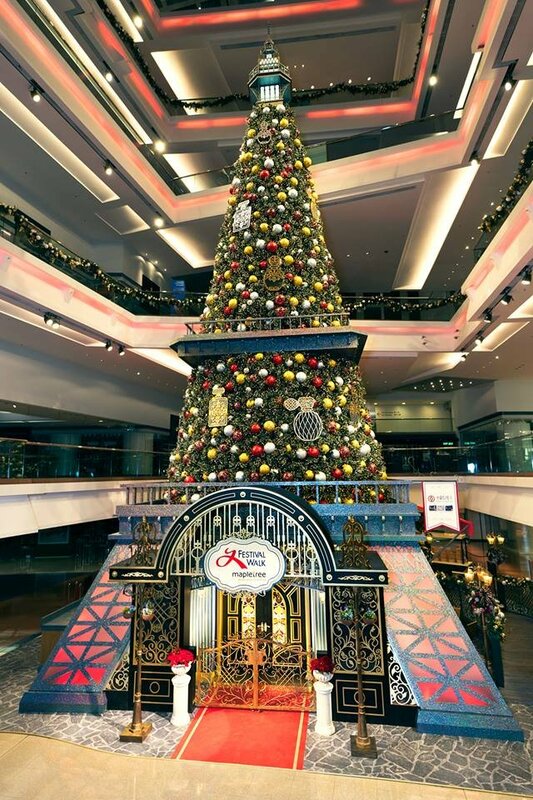 Experience the French style Christmas at Festival Walk Glacier! French-themed Christmas parades will be touring the mall throughout the holiday season. Dressed in French costumes, the mall’s dancers and musicians look forward to sharing the festive joy with you! Festival Walk Glacier has created a giant Christmas Gift Box for the collection of donated toys, all of which will be delivered to The Salvation Army to benefit deprived children. Festival Walk Glacier Student Cardholders can take photos with Santa at Santa’s French Cottage on Level LG2 for a special price of just HK$60 (originally HK$80). This delightful memento comes in a beautiful limited-edition picture frame. All proceeds from ticket sales will go to the Charles K. Kao Foundation for Alzheimer’s Disease. Festival Walk Glacier has specially invited an expert instructor to host two fun-filled workshops in which kids can learn how to make a unique Christmas card with products from Smiggle. All participating families will receive a Smiggle DIY kit or activity book. All artworks will also be entered into a competition, and the winner will receive a family skating package worth HK$280 and a Smiggle gift voucher worth HK$600! Come and watch as more than 80 figure-skating students from Festival Walk Glacier proudly present a magnificent Christmas performance. Santa and Santa Girl will skate around the rink to pose for photos and hand out free candies. Space is limited, so enrol now! See More Info about other great Christmas events and activities for all the family!